The results from the ISPWP ( International Society of Professional Wedding Photographers ) Fall 2012 contest were recently announced, and I am pleased to say that one of my photos placed 17th in the details section of the contest. The image is a ring photo I made using the green M&M’s the bride and groom were providing for their guests in the vintage glass containers. 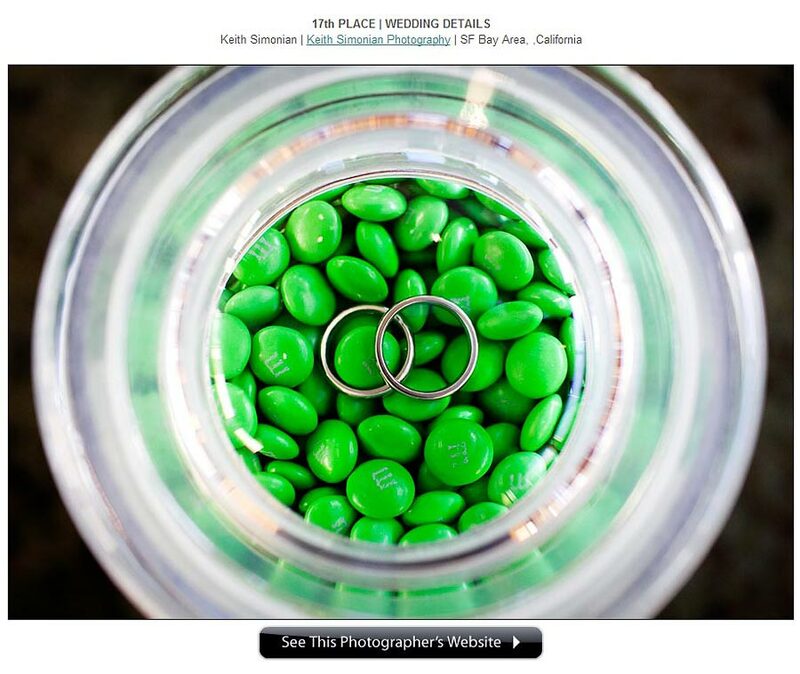 Green M&M’s for the guest along with the Bride and Groom’s wedding rings. Great details shot. Love it.